There are many ways to treat a particular illness, most involves taking medicine. Typically, people resort to traditional western medicines because they find it safe and convenient. However, this is not the only option to cure an illness. Some people resort to alternative methods of treatment. These alternative methods include Chinese medicine, yoga, cupping, acupuncture, and dry needling. Among them, dry needling is the most scientific approach. Although acupuncture is now widely popular around the world, many people still prefer dry needling. In this article, we will discuss dry needling vs acupuncture, dry needling benefits, dry needling side effects, and other dry needling risks. Before we go deeper into dry needling vs acupuncture, let’s define dry needling. 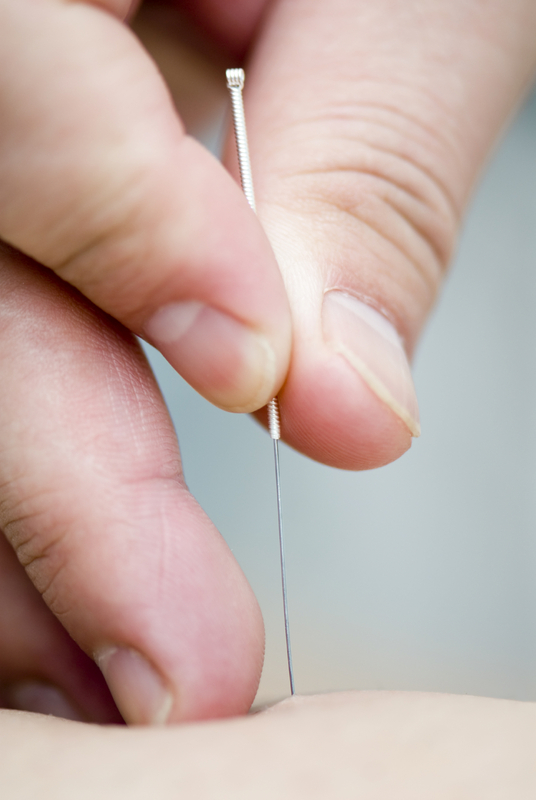 Dry needling appears similar to acupuncture in the way a patient is treated. It uses solid filiform needles, which pierce a specific trigger point in order to stimulate a particular effect. These needles are very thin, so they are easily pushed through the skin without pain or bleeding. This type of treatment is done in order to release tight muscle bands, and this will cause depolarization of muscles. When the muscles are relaxed, the pain gradually decreases. Unlike acupuncture which has been used for the last 2,000 years by the Chinese for medical reasons, dry needling first came out in 1938 by Professor John Kellgren of Manchester University. Dry needling was based on acupuncture techniques, but with scientific accuracy based on neurological research. In 1979, Dr. Karel Lewit was one of early pioneers to use dry needling for pain relief as he had done the research that dry needling was much safer as it reduced the risk of bruising that may have been common in acupuncture. The physical therapists will try to palpate a certain muscle point or target muscle to identify a spot which is hyper-irritable. This will confirm the trigger point that therapists should be focusing on in order to avoid trigger points. The needles are then used and apply on the trigger points. 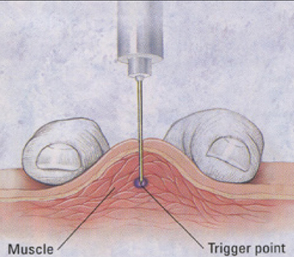 The standard practice of fixing the needles is through a pincer grip or a flat palpation. Palpation involves using the hands gently as they are applied to pinpoint a tender area. The needles are then carefully and gently pierced through the skin. The therapists will then perform deep dry needling to confirm whether or not they have found the trigger point. This is done by determining if the patient has a local twitch response. This type of response can be identified when there is an involuntary muscle contraction. The therapists snap palpitation to trigger such contraction. The local twitch response is caused by electrical activity that releases some immune system chemicals, which produce such responses. When the therapists have already identified the trigger point through the specific local twitch response, the therapists will then gently draw the needles back to the skin layer without completely removing them away from the skin. This will enable the therapists to focus on such areas. The therapists will continue to redirect the needles to the rest of the trigger points until there is no more twitch response. This can be recognized when the patient feels the pain of the needle. After a while, the needles will be removed from the skin. Then, the therapists will apply pressure on the skin, so the area is not soar later. Now, let’s talk about dry needling vs acupuncture. Actually, the difference between acupuncture and dry needling is a bit tricky. Both are very similar in methods, although the needles are the same. The only difference is the principle and reasoning. Acupuncture is based upon the principle of Chinese medicine in which the body is treated to normalize energy balance (Chi). Once Chi is achieved, all illnesses will naturally get treated. On the other hand, dry needling is based on Western science in which the needles are inserted into myofascial trigger points, which will stimulate the immune system response. Trigger point dry needling risks are less likely as the process is scientific. Dry needling vs acupuncture is not really a big deal. Some would prefer acupuncture because of the possible dry needling risks and other dry needling side effects. Others would prefer dry needling because it is based on science. Moreover, skin and muscles are less likely to sore after dry needling. Dry needling vs acupuncture is only a simple comparison of two similar methods. The above dry needling side effects may occur along with other complications depending on a patient’s condition. Healthy people may never suffer from any dry needling risks while those with current illnesses may have a different experience. Nonetheless, dry needling is safe for all ages and conditions. Dry needling vs acupuncture is like the comparison between Western medicine and Chinese medicine in which both methods can heal. In the case of dry needling, therapists use both Chinese acupuncture on the basis of a scientific approach. If you want to go through dry needling therapy, visit your nearest physical therapy clinic for professional help. This is interesting info about dry needling. I have had a back injury for a long time and nothing has helped, so I have been considering dry needling. I like that you mentioned that it can actually cure disk pathology and joint dysfunction. That is really cool, I will have to do a little more research on it. I use it for shoulder and back pain. I threw out my back one night. I woke up crying as I tried to put on socks. I went to my PT (as I’ve had dry needling done prior) they dry needled my back after heat and gentle stretching. I walked into the lobby where the receptionist hit on me. They were amazed at the difference on my face. I was no longer in pain and even played volleyball that night! It’s the only immediate pain relief technique they are able to employ. The needles don’t hurt and the relief is amazing to feel!